Spend your next trip in comfort at this Hawthorn Suites by Wyndham Decatur, IL hotel, located near Interstate 72 and Decatur Municipal Airport. Rooms at this hotel feature complimentary wireless Internet and pillow-top mattresses. 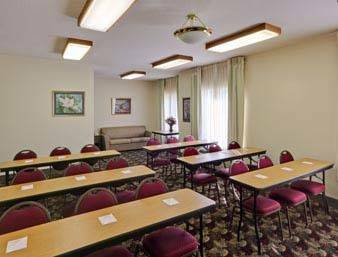 The hotel also offers a complimentary hot breakfast buffet, a fitness center, laundry and dry-cleaning services and meeting space for business or social gatherings. Bring the whole family: there is complimentary parking for all kinds of vehicles, no charge for kids up to age 17, and the hotel is directly adjacent to a 12-theater movie complex. For your convenience, the business center features computer printing and fax service. The hotel is close to restaurants, museums, and entertainment that everyone will enjoy, and shopping and outlet stores are just a short drive from the hotel.